Bangladesh Handloom Board (BHB) Published New Driver Post Job circular at www.bhb.gov.bd . Class Eight Pass Student Can apply BHB Job circular if He/She are Qualified for this jobs. People also called this “Bangladesh TAT Board” TAT Silpo etc. 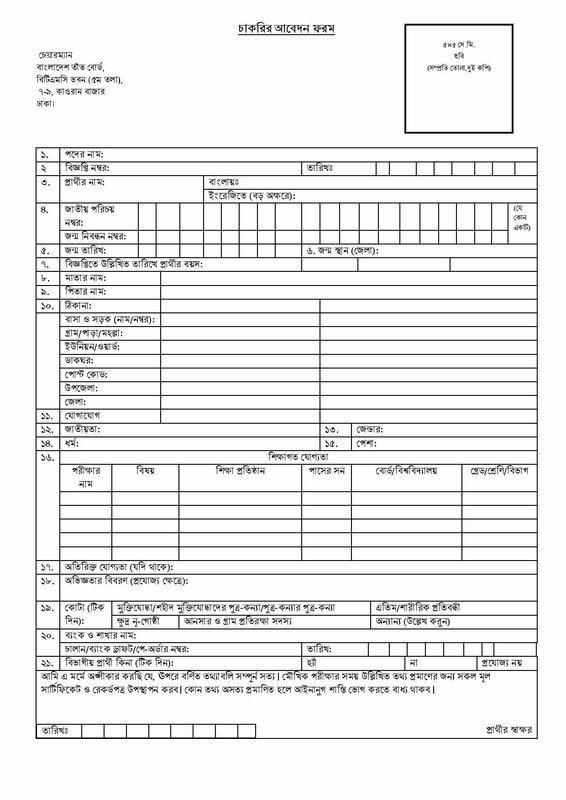 In April 2019, Bangladesh Handloom Board Notice only for Vacancy post to their Organisation. Candidate must have to sent their Document before 01 May 2019. Candidate who are ready for apply BHB Job Circular searching for Download its Job Application Form. Ejobscircular provide you BHB JOb Application Form. After Complete your job apply process you may Also get others notice about jobs exam date and result at www.bhb.gov.bd. N.B: Admit card has been sent to candidate permanent address. If any one do not get admit the they can collect admit form Office of BHB. VIVA Exam Date and Written Exam Result of BHB will be published here. For Next updates about Bangladesh Handloom Board BHB Job circular, Application Form, Job Exam Date etc Stay connect with Us on Facebook. THanks for visiting our website. Don`t forget to share this post with Your Friends and Family. This entry was posted in Govt Jobs 2019 and tagged Bangladesh Handloom Board Exam Date 2019, Bangladesh Handloom Board Job Circular 2019, driver jobs, www.bhb.gov.bd by ejobscircular. Bookmark the permalink.